Robust steel construction with 150 kg shelf load capacity, perfect for storing heavy items. Secure folding doors with a 2-point lock. Perfect for use in industrial areas & warehouses. 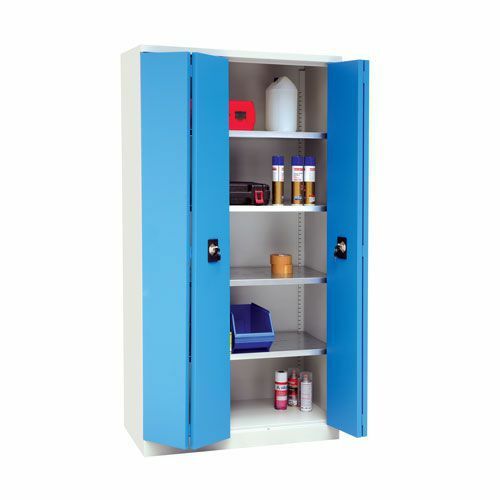 Heavy duty tall cabinet perfect for use in workshop or warehouse environments.